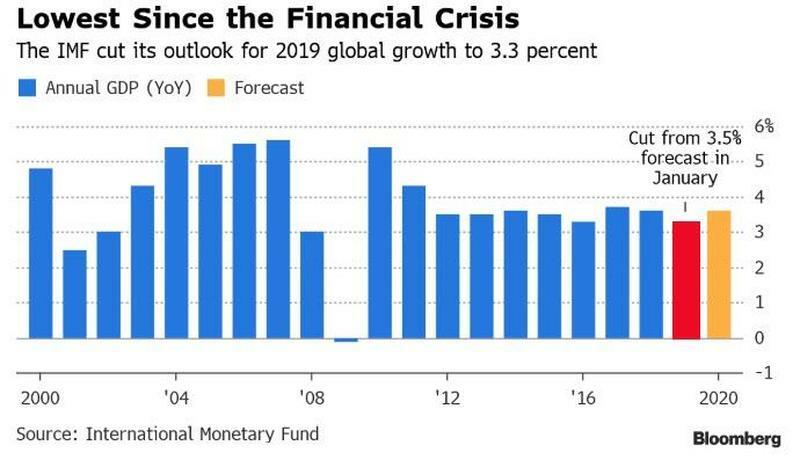 Wall Street had a bad night last night and gold rose, both largely off the back of yet another downgrade to global growth by the IMF, its 3rd downgrade in 6 months. 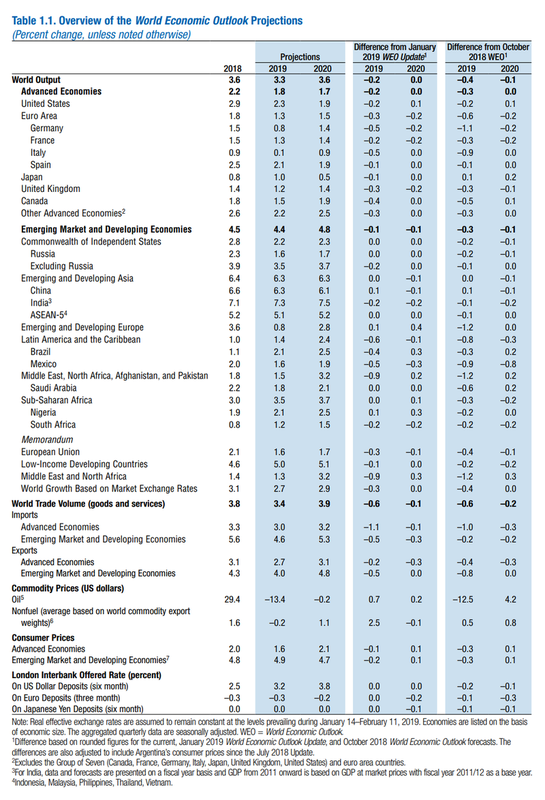 Whilst 3.3% may look healthy, that number is heavily boosted by fickle Emerging Markets, with Advanced Economies now down to 1.8% this year, declining to 1.7% next and 1.6% in 2024, i.e. no rebound and no acknowledgement of a recession in the next 5 years! Again, a reminder, the trend is constant downgrades as it continually gets worse than they anticipate. By country, you can see every single country except Nigeria was cut and whilst they are ‘buying’ the better news out of China last week, they don’t see it as structural, decreasing China again next year. 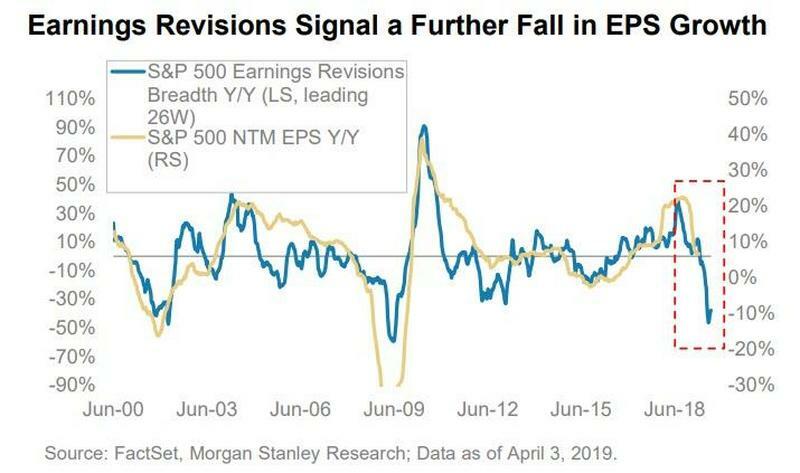 "In the face of significant financial vulnerabilities associated with large private and public sector debt in several countries, there could be a rapid change in financial conditions owing to, for example, a risk-off episode or a no-deal Brexit"
And so it should not be a surprise that Morgan Stanley point out that “More than 100% of the rally in stocks this year has come from multiple expansion”. So who is buying and propping up the price over earnings fundamentals? 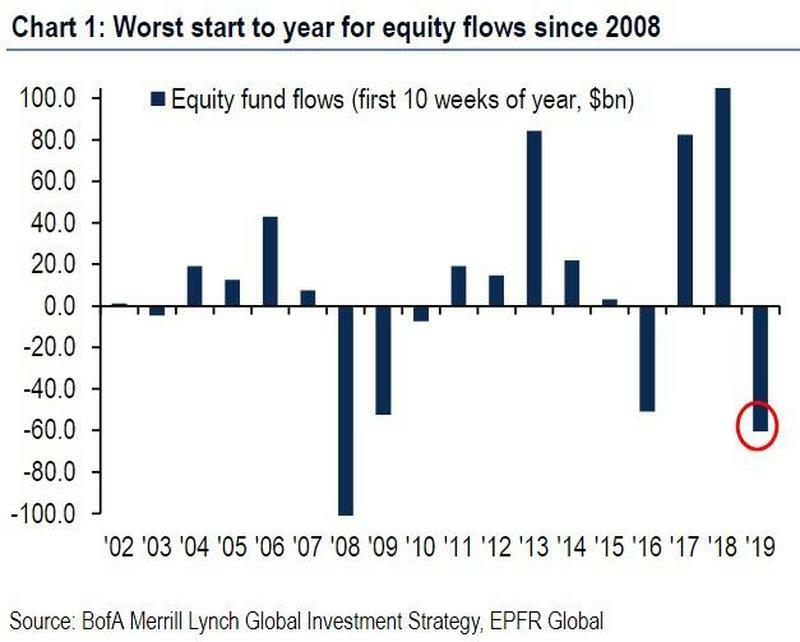 The following chart shows it’s clearly not equities funds, who are bailing out at the fastest pace since 2008. We know that corporate share buybacks are up 30% on last year and of course, just like the GFC when the smart money bailed just in time, offloading it to the retail mum and dad investors to take the fall again. Will that be you? How many warnings do you need to hear?